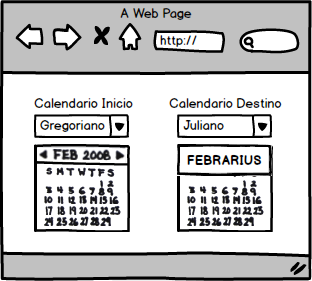 I find the interface quite easy, so the only redesign I would suggest is to put the interface in several languages. I don’t understand the ‘Intermediate’ option, but I think it’s something that someone expert in history would understand better. I think you may improve the logo of the application. The shapes and the shades are very simple and the font-type… I think the font-type is not very pretty. I’ve downloaded and installed, but I don’t know how to give a date before to our era, as an example, the year 46 before Christ. ¿It is not yet supported? HistoryCal is easy to install, you just have to download the installer for your operative system. It’s difficult to understand what it really does, but once you have understood it you can tell how to enhance the interface. I would like that the colors of HistoryCal’s icon won’t be lost, but this is not so important. It would be important to have an online help tool to know what you have to choose inside the ‘input’ drop down list. Maybe you could write something like ‘Choose calendar type to convert’. I would like to have also some information about the different calendars included in the application, because I had to look at the Wikipedia first to understand it. It’s important because you have to know which calendar type we normally use and the difference between all the calendar types. In the label ‘format’, I think it would be interesting to put a real example of the format you have chosen. Interfaces have to be easy to handle and remember (maybe you could put an example in a small font-type below the control). In the label ‘text’: you could put Month or Weekday as the label title and not call it ‘text’. I find the script tool difficult for a non-expert user. Also there is no information about how to create it. It would be useful to create a user’s guide, a step by step guide. From the installation process, to how you have to work with the application, a detailed explanation of the interface, and it could be helpful an online tutorial. The user’s guide should be inside the ‘Help’ menu option, and a search option. Also the FAQs could be part of the ‘Help’ menu option. I forgot everything is in English language, it should be important to internationalize this application. It should be interesting that everything in the interface should be in proportion; every control has to appear in an appropriate position inside the interface. I don’t find the option ‘Full’ relevant. Here you can download the binary file for Windows. HistoryCal is a practical calendar calculator designed to work with historical dates. 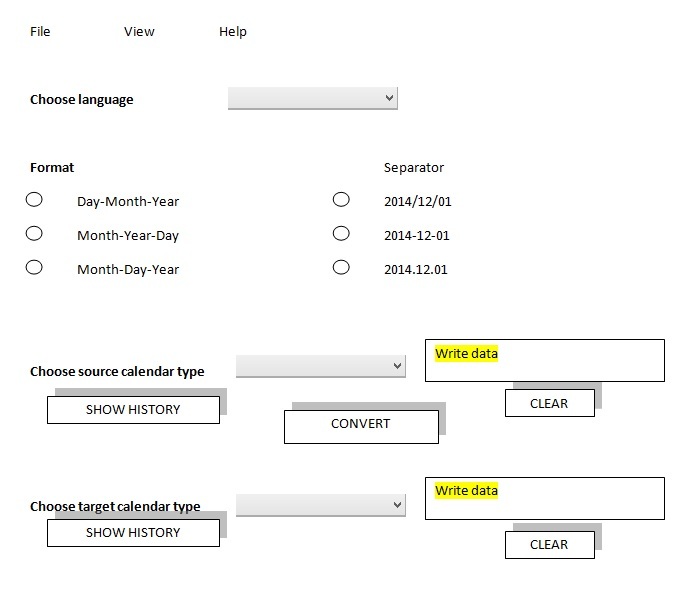 The calculator will convert between different world calendars and work with date ranges. 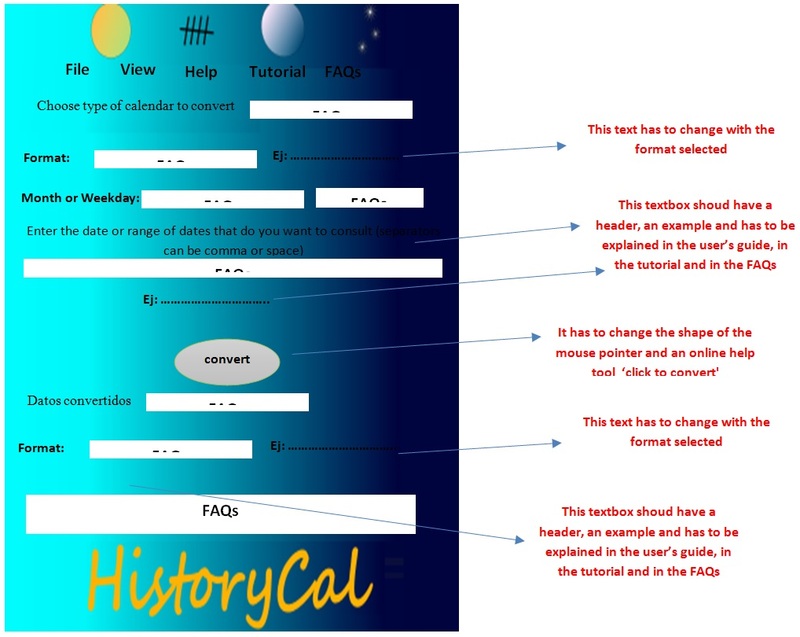 We launch this site with the purpose of make a new enhanced graphic user interface for HistoryCal. We request the collaboration of everyone interested. During next few days we will publish in this site a link to download an installer of HistoryCal.